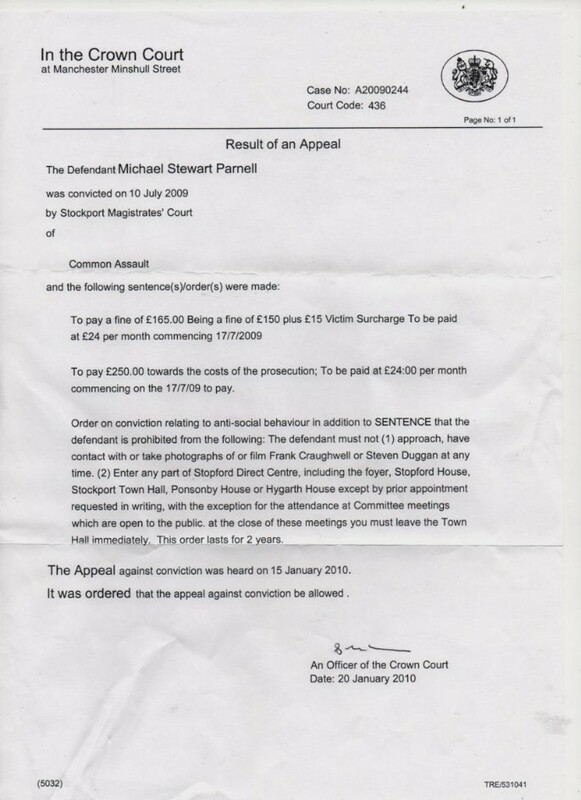 Mr Parnell was punished (right up to his early death at 58) even though he was innocent, even though the council employees were found to have committed perjury in court. I raised the matter of his being punished after being acquitted but no-one listened. And all this vile abuse of Mr Parnell instigated by the bent Stockport LibDems. Below is the Stockport Council CCTV footage of the non-assault. Everyone knew no assault had taken place - Police, CPS, Magistrates, Senior Council Officers. Was there some sort of Masonic vengeance squad operating against a man who bravely stood up them? Who knows. 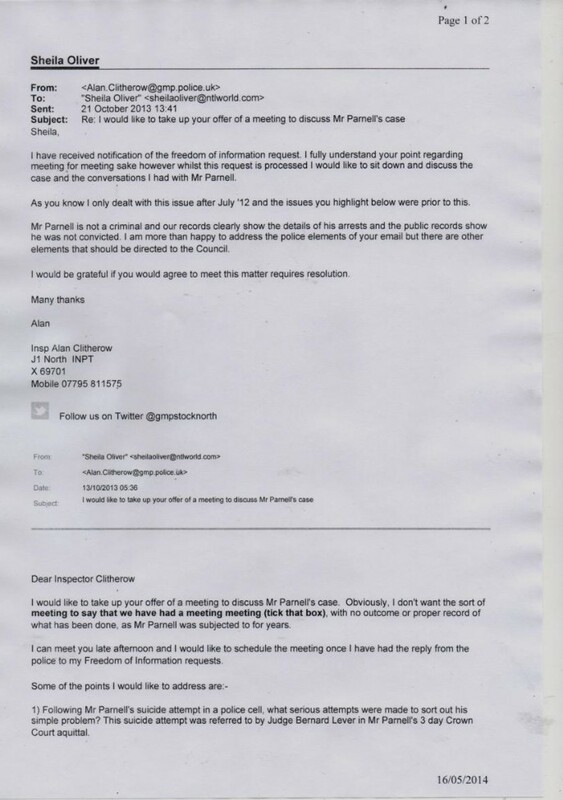 Below in an email, Stockport Police admit Mr Parnell was a completely innocent man.